Ever loved a look you saw on your favorite blogger or celebrity so much that it made you want to have all the pieces? Well, this may be your chance to get your hands on them for a lot less! We found out that the country’s top bloggers and a few celebrities are selling their pre-loved fashion goods online. Balenciaga, Acne Studios, Céline and even fast fashion favorites such as Zara, Topshop and Forever 21 are sold at more than half of the original SRP, so we say head to their respective pages now and call dibs before they’re sold. Step into this It girl’s treasure trove and find a couple of pieces from American Apparel, lots of hubadera stuff, and a cute Miu Miu bra to name a few. There’s even some Marni and Common Projects footwear ready for your taking. A word of advice: Keep on checking her page because based on her IG posts, there’s more coming. 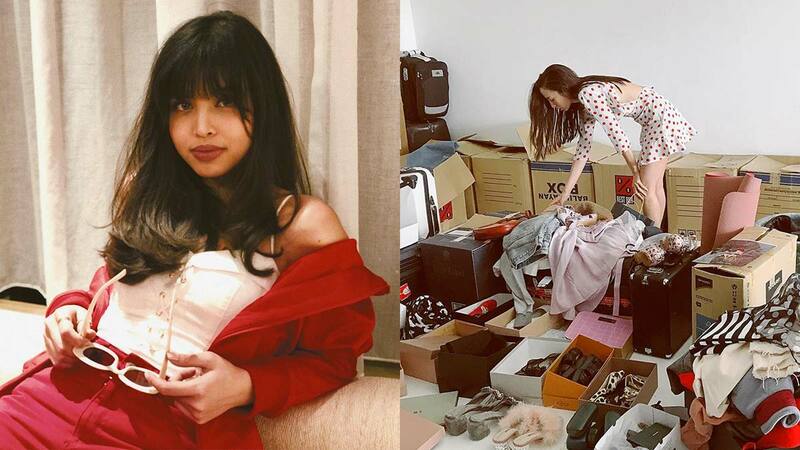 In case you haven’t heard, Maine is selling her pre-loved fashion finds for a good cause. All the proceeds from the sales here go to the AlDubNation scholarship drive which will surely make you feel better about shopping. *wink* You’d also know that she wrote the descriptions herself because they’re so hilariously on point, it will make you want to buy them, stat! Aside from pre-loved finds from labels such as Steve Madden, Tory Burch, and Giuseppe Zanotti, Camille also added a lot of brand new items! The best part? Even though she has never worn them, she’s still selling them for a lot less. At Laureen Uy’s page, you’ll be glad to find more than just apparel. She also sells accessories such as sunglasses sold for as low as P150, and even customized tables and lamps! If you want to spruce up both your room and your closet, it’s her page you need to check out. Get a chance to score a pair of Valentino flats, a Kate Spade sling bag, and a whole lot of feminine pieces very much reflective of Tricia's personal style by heading to her page. If you think you’re the same size, then stop waiting and start shopping. If you’re into fitness and the beach, you’ll love the bikinis and sports bras Kryz is selling for as low as 300 bucks. But she’s also gifting you with a chance to own Balenciaga, Céline or Proenza Schouler purses, while throwing in some makeup finds as added treats. Apart from the fact that the shoe she’s wearing in the photo is now on her Carousell page for only P500, she also letting go of some of the cutest Kate Spade clutches! Steal that plus a couple of 100-peso earrings if you’re into some mid-year shopping.